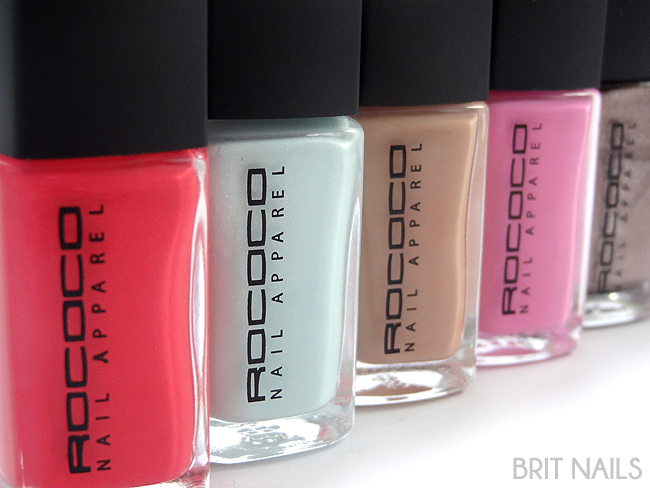 A few weeks ago I received a beautiful package from Rococo, containing all manner of lovely looking nail products to try, including these polishes that I'm showing you today. 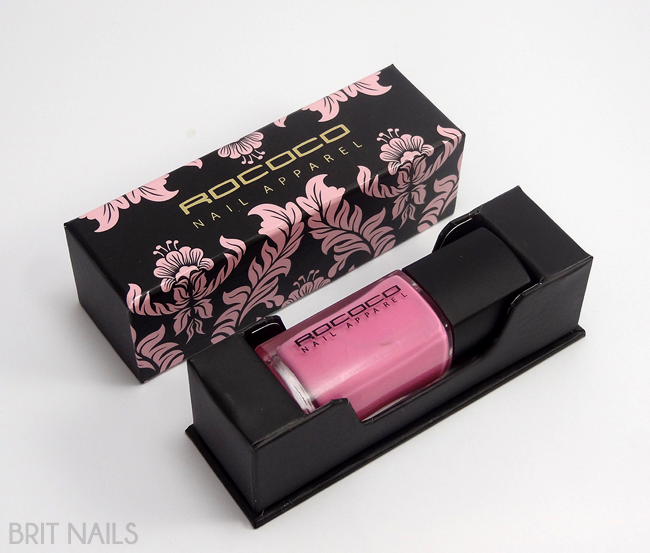 Each Rococo polish comes presented in a pretty little box. I've seen nail polish packaged in boxes before but never as nice as this, it really lends to the luxury! I love the bottle shape too, I always prefer square bottles over round ones! I'm very impressed with the formula of these polishes, they definitely have that high-end feel. 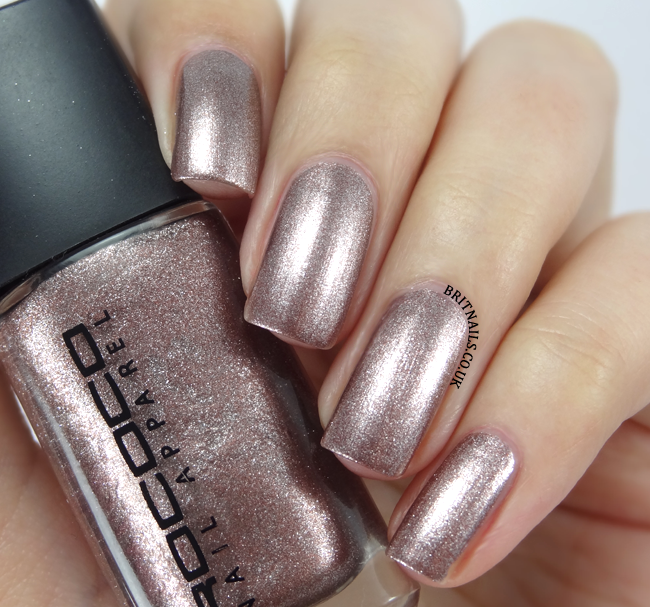 They apply like butter and dry quite quickly, and have a high gloss finish even without top coat. 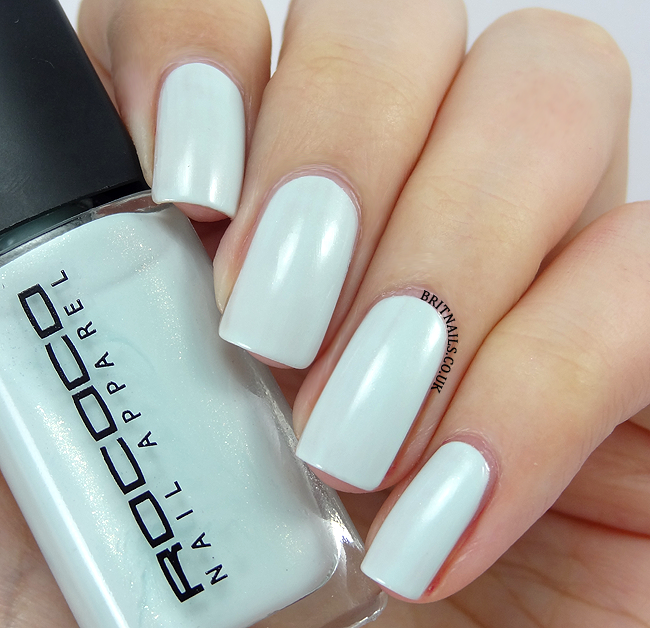 I used a coat of Rococo Superbase Basecoat under my swatches, which is a milky white basecoat that dries clear and worked pretty well as a ridge filler. Hip Hop is a coral red creme, which is just coral enough for me to like it (I really don't like pure red cremes) the formula is wonderful and is perfect in 2 coats. Metal Jacket is a silver-brown metallic. I love this! 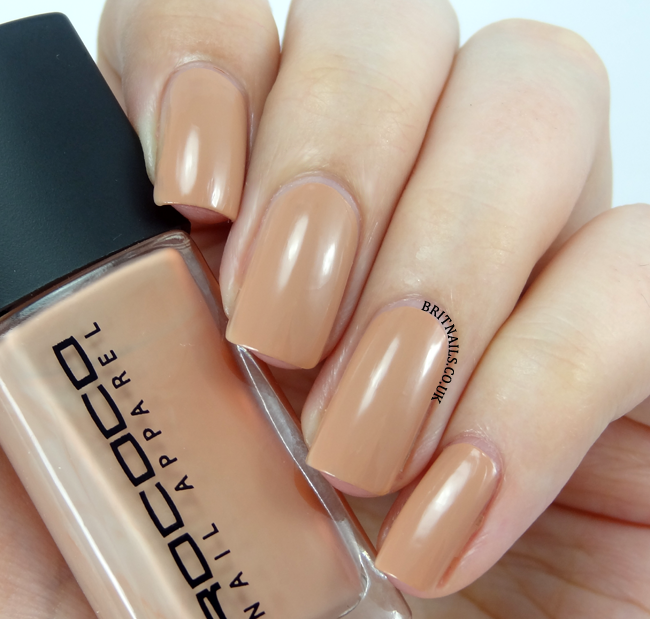 The formula is perfect, opaque in just 1 coat but I've used 2 just because I always do. 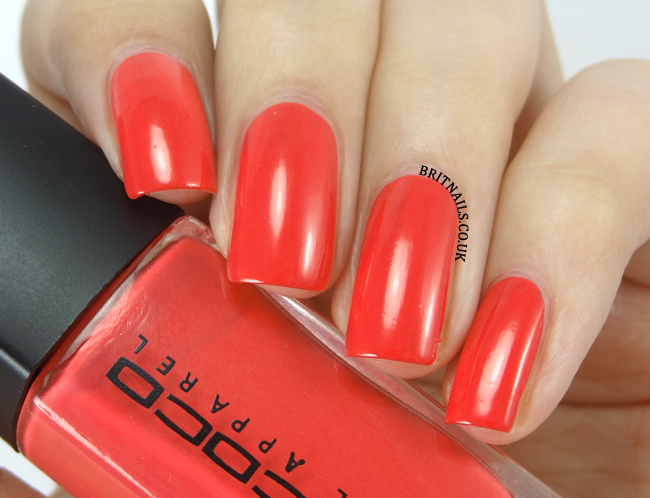 These are beautiful quality polishes and I can see why they've been popular at London Fashion Week! 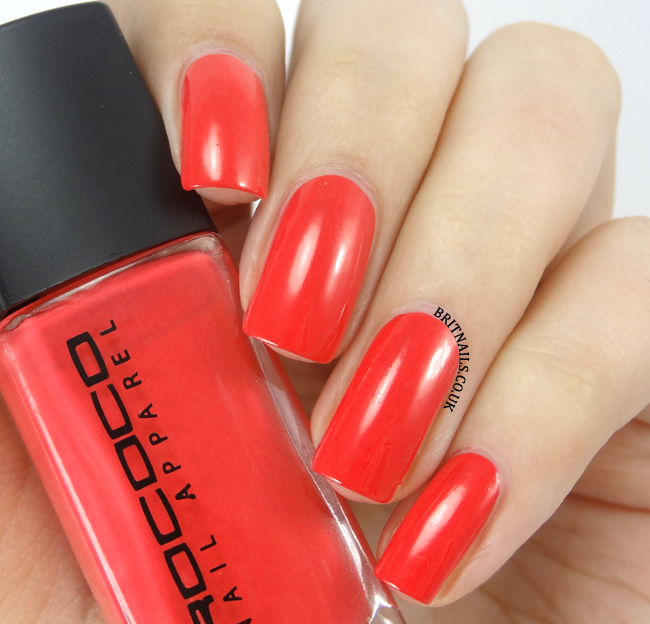 Rococo polishes can be found at Space.NK, Look Fantastic, Beauty Expert and Feel Unique, priced £12 each. I really like those last two especially. Great swatches! Good luck! They are so fantastic, that it lends you to luxury.